Addressing the crowd during this gig, Broken Records frontman Jamie Sutherland tells us that the band’s fourth and latest album What We Might Know was actually made in 2016, and that, therefore, they’ve been sitting on it for a long time. With over a decade having passed since those early gigs and singles prior to signing to 4AD for two albums, they’ve grown older. ‘I never envisaged making a record about approaching middle-age and it’s almost a bitter pill to swallow!’ he tells us. Of course, that makes it sound like the album and gig are a downer. And they’re so not. If you’ve heard the album, the band sound reinvigorated (no mean feat, considering they didn’t sound tired on any of their records). As this is an album launch, tonight’s sixteen song (count ’em!) set is primarily concerned with the new album. As they rip into ‘Let The Right One In’ it’s so easy to get swept away by the sheer weight of emotion on offer for your aural pleasure. By the time it’s over, Jamie has broken half of the strings on his acoustic guitar. He doesn’t do anything as rockist as replace them for the set. Curiously, while many bands keep trying to add more and more to their sound as the years go by, Broken Records have actually stripped things right down. The cinematic flourishes which characterised those two 4AD albums at the turn of the decade have gone. When the set finishes with their debut’s opener ‘Nearly Home’ (the only song from that album to get an airing tonight) it gently reminds us just how far they’ve come. Rory Sutherland does still play violin for some of the tracks, but these days he’s far more likely to be playing keyboards on stage. Bruce Springsteen remains a big influences on Jamie’s writing, minus the bombast, but the band are finding their own type of epic. The single ‘They Won’t Ever Leave Us Alone’ should be lighting up festival stages from Boston to Belarus if there was any justice (we all know that when it comes to music, sadly, there often isn’t). There’s other influences creeping in, too – Jamie tells us that ‘To Be Free’ was an attempt to write a song in the vein of Sam Cooke. What We Might Now reminds those who may have forgotten just how ruddy great Broken Records are. Live there are so many songs that are just begging to be heard – ‘Open Ground,’ ‘The Inbetween’ and ‘Clarity.’ Our ears ring as we walk off into the night, but truly it was worth it. Album dedications don’t usually give you much of an idea about what to expect from an album. Adam Stafford’s new album isn’t your usual album. Even as a teetotaller, it’s easy to be swayed by the description of an album that is described as being ‘dedicated to anyone who has ever been hungover’, but also extends that dedication to the ‘down-and-out, running from themselves, running for their life, trapped in prisons internal and external.’ Eight years in the making, the album covers some intense and emotional ground, and gives the listener not only plenty to listen to, but also to think about. Having been described elsewhere as ‘a neo-classical album that deals directly with depression,’ it might seem as if this album on paper (never mind on speakers or headphones) might be heavy-going. Let’s dismiss this right away: while it’s not easy-listening muzak, it’s actually an album to fall for without much difficulty, and to enjoy being swept away by. If there seems to be a lot going on here – not just musically, but emotionally, too – it is an inviting album, rather than one that seeks the alienate the listener. The opening track ‘An Abacus Designed To Calculate Infinity’ could suggest math-rock – and while there are indeed hints within, for my money, there is also a link to Virginia Astley’s 1983 pastoral masterpiece From Gardens Where We Feel Secure. It evokes images of beautiful countryside scenes being overtaken by the arrival of the factories during the industrial revolution- a fitting analogy for the struggles of the delay grind as we get older. This is a work that references the likes of American minimalist composers like Philip Glass and Steve Reich, the latter a particularly acknowledged influence on this album. Nowhere more so is this the case than on ‘Zero Disruption’ with its allusion to hallucinations. Stafford has been open about his battles with depression and anxiety, which stretch back to childhood. I sincerely hope that this release affords him some kind of light, because it is a very accomplished album indeed. This year marks the tenth anniversary of Song, By Toad as a label. Whilst there have been a number of excellent releases over that time, this may stand as perhaps the most stunning piece of art to have been released so far on the label. Fire Behind The Curtain is released on May 4. 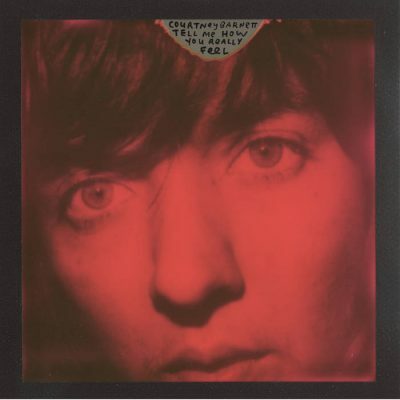 Having topped the 17 Seconds Festive Fifty in 2015 with ‘Pedestrian At Best‘, Courtney Barnett is due to release her second solo album Tell Me How You Really Feel on May 18. The most recent track ‘City Looks Pretty’ will be available as a 12″ single on Record Store Day this Saturday. You can order the album from your local independent record store or her Bandcamp page, and she will also be touring for much of the year. She plays a Scottish date at Glasgow Barrowlands on June 2. ‘How ya doin’ tonight?’ asks the soul legend as he bounds on stage. Well, apart from having endured the worst support act I have ever seen, I’m pretty excited to be here to see someone whose music I first fell for as a child, and who I even got to interview a few days previously. So, pretty good, thanks. 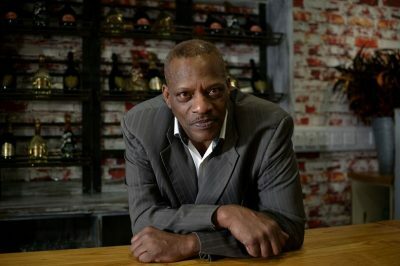 ‘We’re gonna have a party tonight!’ he tells us, and with that he’s into a pretty amazing four strong set of ‘Love Makes No Sense,’ ‘All True Man,’ ‘The Lovers’ and ‘Hearsay.’ While some artists feel the need to push less well known works on their audiences, Mr. O’Neal recognises that his second album, 1987’s Hearsay album, is what he’s best known for. Indeed, this album (re-booted last year as Hearsay30) provides the bulk of his set tonight. He’s backed by a nine-piece band, including the vocalist Ravena, who takes the place of Cherelle on two of the hits they had as a duo ‘Saturday Love’ and ‘Never Knew Love Like This.’ The crowd are ecstatic, and even when our hero disappears for a couple of songs, they keep the momentum going, not least with a cover of Prince’s ‘I Feel For You.’ ‘If You Were Here Tonight’ his first solo hit keeps him going, but within a couple of a capella notes of ‘Criticize’ (still his biggest UK hit, and nothing wrong with that, by the way) they go mental. It’s a fantastic way to finish the first set. The encore is, of course, ‘Fake’ – an extended version that brings almost everyone to their feet. Much has been written over the years about O’Neal, but the reality is, he would never have been as big a star as he became without the music. There’s no need to rehash those who he has been (endlessly) compared to along the way: he’s a survivor, a legend and still putting on a show. I first encountered Edinburgh’s Broken Records over a decade ago. 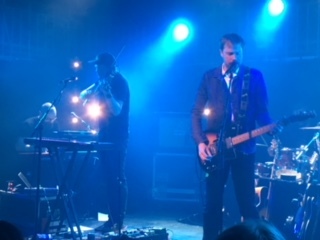 They were supporting Emma Pollock at the city’s Cabaret Voltaire venue, and there seemed almost too many of them for the stage – seven at the time. They were absolutely fantastic and I saw them numerous times supporting and headlining. They issued several singles and then signed to 4AD, who issued their first two albums, 2009’s Until The Earth Begins To Part and 2010’s Let Me Come Home. 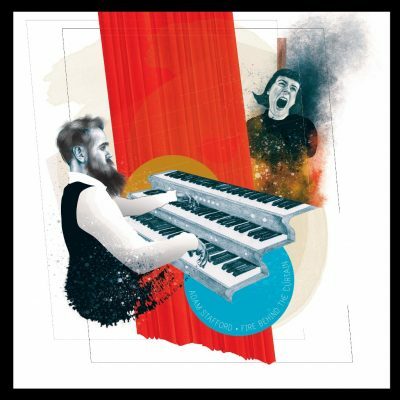 Their third album, Weights & Pulleys was released on their own J Sharp Records in 2014, and now, are after a hiatus they have given What We Might Know, again on their own label. The album opens with the stirring ‘They Won’t Ever Leave Us Alone’ and ‘Let The Right One In’ which feel like a call to arms. It must be observed that they’ve never sounded so consistently upbeat on record. That’s not to say they’ve sounded miserable for their career, but the euphoria and energy within is infectious, as typified by a track like ‘The Inbetween’ which explodes like a firework display. A slower, more reflective track like ‘Anytime’ still exudes warmth. 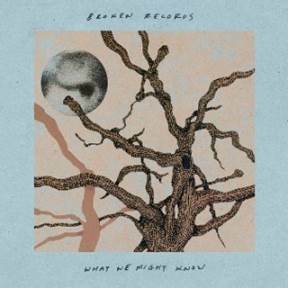 Broken Records have sensibly avoided repeating themselves over the years, and there’s new influences that aren’t discernible on earlier recordings, or if so, much more discreetly. ‘Perfect Hollow Love’ and ‘Someday You’ll Remember Me’ sound like New Order meeting Out Of Time-era R.E.M. with a hint of soul, and while still recognisably Broken Records, it is great to hear them investigating new avenues and incorporating them into their music. While they’ve always had an ‘epic’ sound to proceedings, if you compare this album to their debut, the sweeping strings have moved away. They still sound like a band who should be filling huge venues on a regular basis, but the early description of them sounding like if ‘Nirvana came from Belaruse’ is not accurate of Broken Records 2018.